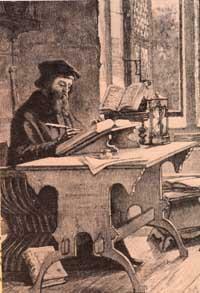 Today on the Anglican calendar John Wycliffe, 14th century scholar and preacher, is commemorated. He was very possibly the most intelligent and most educated Englishman of his day. Born in Yorkshire around 1330, and educated at Oxford, Wycliffe became a doctor of divinity in 1372. He is chiefly remembered and honored for his role in leading a movement in the early 1380’s for translation of the Bible into English, with two complete translations (one much more idiomatic than the other) eventually being made under his overall direction — although how much of the translating he did himself, if any, remains uncertain. He proposed the creation of a new religious order of Poor Preachers, in many ways resembling Franciscans, who would preach to the people from the English Bible. Although they never received official sanction to do so, many “Poor Preachers” did in fact go on the road, staff in hand, bringing the Good News to clergy and laypeople alike, scriptural knowledge being quite uncommon in those days, even among priests, as that time the Bible could only be accessed in the Vulgate version. 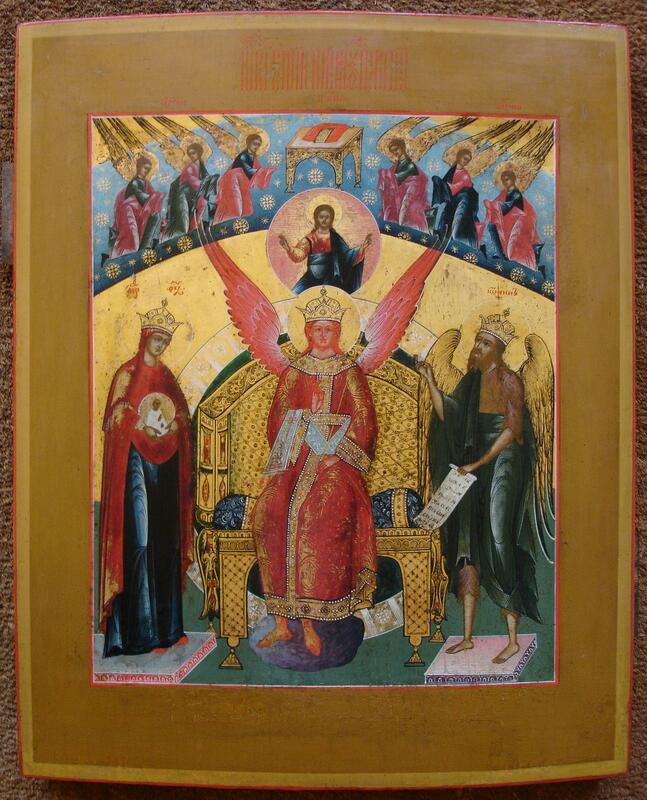 This was the Latin translation from the original Greek and Hebrew made by Saint Jerome in the late fourth century. Most priests in Wycliffe’s day were ill-instructed in that tongue, having barely enough to say Mass. Wycliffe’s followers were known as Lollards, a noticeably rebellious movement which preached anticlerical and biblically-centered reforms. As presumed founder of this movement, he is sometimes called “the Morning Star of the Reformation”. That he was in many ways a precursor to the Protestant Reformation seems true enough, since he was one of the earliest opponents of papal authority influencing secular power and published a series of severe attacks on corruption in the Church. Wycliffe argued for “dominion founded on grace”, dominion meaning both the right to exercise authority in church or state and the right to own property. As these rights, he argued, were given to individual human beings directly from God, they were not given and did not continue apart from sanctifying grace. Accordingly, anyone in a state of mortal sin could not lawfully function as an official of church or state, nor could that person lawfully own property. Since the Church had fallen into sin, he argued, it ought to give up all its property and the clergy should live in complete poverty. He proposed that this disendowment should be carried out by the king. These attacks, bitterly worded even for the time, might nevertheless have found general acceptance, were it not that he also attacked the doctrine of transubstantiation (i.e., once the Eucharist has been consecrated, the bread is no longer present in reality, but only in physical appearance), teaching instead that there is no transubstantiation, that the bread remains exactly as it is, Christ being truly present in the bread, certainly, but in a purely spiritual manner only. This view cost him the support of many friends that he could not afford to lose. Although in all his controversies, he declared himself a loyal churchman, willing to submit his cause and his opinions to the judgment of the Pope, disaster struck with the Peasants’ Revolt in 1381. It is most unlikely that Wycliffe’s teachings, read chiefly by the learned, had any role in instigating the revolt, but the fact that many peasants were intent on putting to death all landlords, lay and clerical alike, made Wycliffe’s “dominion founded on grace” look extremely dangerous; and Wycliffe’s movement was bloodily suppressed along with the Revolt. In 1382, all of his writings were banned. 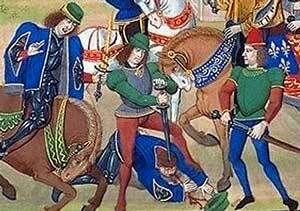 After his death on December 31, 1384, his opponents finally succeeded in having him condemned for heresy, arranging in 1428 that his body be removed from consecrated ground. Although he was seen as a precursor of the Protestant Reformation of the 1500’s by later generations, his direct influence on the beginnings of that movement appear elusive. It is telling however that John Hus (c. 1369 -1415), a key predecessor to the Protestant movement of the 16th century, had translated a significant portion of Wycliffe’s theological work, and that in turn Luther saw in this martyred Czech reformer the precursor to himself. “Controversy,” writes Oliver Wendell Holmes, “equalizes fools and wise men – and the fools know it.” John Wycliffe was no fool by any means, yet it seems fair to say that he would have benefitted from more wisdom. By all accounts John Wycliffe was personally upright, sober and honest – even saintly – being officially considered so by the Anglican Church. Nevertheless Buddha’s remark regarding controversy may well apply to him: “In a controversy the instant we feel anger we have already ceased striving for the truth, and have begun striving for ourselves.” Striving for ourselves in the sense of knowing better? In the sense of believing that, knowing better, we can do better? In Wycliffe’s case, it seems all too likely that this was true. He knew what was needed to reform the church and, in the heat of controversy, he was intent on carrying out those reforms. There are two principles which one has to understand and distinguish when one wants to go deeply into the Arcanum of Force. The one is the principle of the serpent, and the other is that of the Virgin. The former is opposition from which there proceeds friction which produces energy. The other is concordance from which comes fusion which engenders force. Thus, enormous energies of a psychic nature are released into the world through a war due to a conflict of interests and pretensions; and energies of intellectual nature pass from a virtual state to one of actuality when there is a controversy. It is said: “Truth springs forth from the clash of opinions”, but actually it is not the truth which springs forth, but rather combative intellectual energy, for truth is revealed through the fusion of opinions and not through a clash. A clash certainly produces intellectual energy, but hardly ever discloses the truth. Quarreling will never lead to the truth, as long as one does not give it up and seek for peace. Certainly minds can be electrified by polemic, which can cause a veritable intellectual storm in the world; but polemic cannot make the clouds disappear, nor is it given to making the sun shine. I must confess, dear Unknown Friend, that during my long quest for truth I have been truly enriched by the fruits of the constructive work of many scientists, and the spiritual endeavor of many mystics and esotericists, and also by the moral example of many human beings of good will – but I owe nothing to polemics or polemicists. I owe nothing to early Christian authors who attack paganism, or to pagan authors who attack Christianity. I owe nothing to the learned Protestant doctors of the sixteenth century; and the academics of the Enlightenment and the Revolution of the eighteenth century have not taught me anything. Also, I owe nothing to the militant savants of the nineteenth century; and the revolutionary spirits of our century, such as Lenin, have not given me anything. What I want to say is that the polemicists enumerated above have given me a lot in the way of objects of knowledge – and it is thanks to them that I have understood the intrinsic sterility of the spirit of opposition as – but they have given me nothing in the way of sources of knowledge. In other words, I have learnt much through them, but I have learnt nothing from them. I owe them what they do not want to be owed, and I owe them nothing of what they want one to owe them. Now, it is through the fusion of opinions that truth lights up. Con-versation – the process of “together-versing” (flowing together) – is the very opposite of controversy, the process of “contra-versing” (flowing against). Conversation is the operation of the fusion of opinions; it is a work of synthesis. True conversation always has in principle the underlying statement in the Gospel: “Where two or three are gathered in my name, there am I in the midst of them” (Matthew 18:20). For all true conversation calls upon the transcendent Center, who is the way, the truth and the life. There still remain two commandments as indispensable for the spiritual life as the eight commandments already discussed: Thou shalt not bear false witness against thy neighbor, and Thou shalt not covet thy neighbor’s house. These two commandments relate to the spirit of rivalry, which manifests itself either as negative criticism or as envy. This means to say that every spiritual movement, every spiritual tradition, every school of spirituality, and every disciple or so-called “master” of a school of spiritual life, should in no way be motivated by a spirit of rivalry, but rather of love for the cause and ideal. 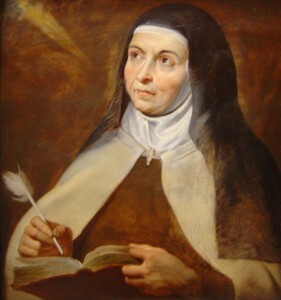 Thus St. Teresa of Avila, enamored by the cause and ideal of a life entirely devoted to God, accomplished a profound reform of the Carmelite order without destroying the unity of the Church, and without accusing or condemning anyone. 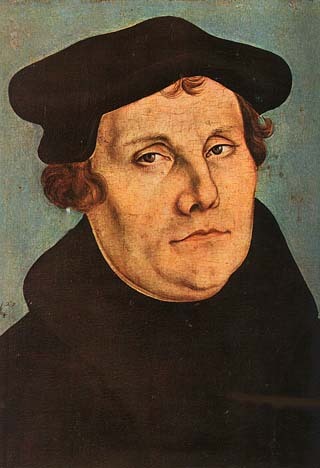 At the same time the Augustinian monk Martin Luther, given up to the spirit of criticism, thought out a reform of the whole Church and, carried away by the desire to do better, founded a rival church, whilst declaring Rome as “the seat of the antichrist” and its faithful either as “poor strays” or “ravishing wolves in sheep’s clothing”. Therefore St. Theresa, St. John of the Cross, St. Peter of Alcantara, St. Julian of Avila and other contemporaries of the same spiritual stature would, according to Luther, be “strays” or “ravishing wolves in sheep’s clothing”, i.e., either deceived or deceivers. Here is a clear case of “bearing false witness against thy neighbor” due to the spirit of criticism and rivalry. Anyone who takes on himself the mission of judge can act only in the sense of destruction. Anyone who begins to criticize before long passes to censure and sooner or later ends up by condemning, which leads inevitably to division into hostile camps and to other forms of destruction. Criticism and polemicism are mortal enemies of the spiritual life. For they signify the substitution of destructive electrical energy for constructive vital force. A complete change of the inspiring and motivating source takes place when a person or spiritual movement becomes engaged in the way of rivalry – with the criticism and polemicism that it comprises. Once carried away by electricity, “bearing witness against thy neighbor” will always be essentially and intrinsically false. Now, there is no authentic spirituality which owes its origin and existence to opposition and rivalry. “To be against something” is sterile and is never capable of engendering a viable tradition or giving birth to a school of spiritual life, whilst “to be for something” is fertile and is an indispensible condition for all constructive activity. This includes every tradition or viable school of spirituality. The spirit underlying “bearing false witness against thy neighbor” and “coveting thy neighbor’s house” is spiritually sterile and destructive. Particular spiritual schools and traditions should not, in order to live be rivals, but should live in consciousness of the kinship of their cause and ideals, if there is kinship; or, if there is not, they should respect the domain of freedom of the other – the “house” proper to it – without mixing this with envy or criticism. If there is no cooperation resulting from kinship of causes and ideals, then spiritual traditions and schools s hould live and let live in peace! 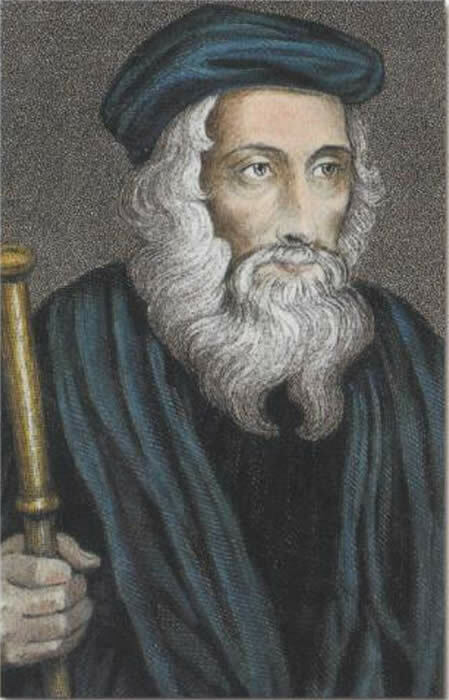 John Wycliffe greatly deserves to be commemorated in the liturgical year for his monumental accomplishment of supervising the translation of the Bible into two English versions some two and a half centuries before the King James Version and for his allied, creative efforts to evangelize the English countryside. As controversialist however, i.e., as the “Morning Star of the Reformation”, he cannot be commemorated without doing serious damage to the cause the One, Holy, Catholic, and Apostolic Church. In the Roman Catholic Church, tomorrow is the Feast of the Solemnity of Mary, Mother of God. May the Blessed Virgin Mary, Holy Mother of God, and may Holy Sophia, Daughter of God, through our devotion to their union as one in the Holy Whitsun Festival, protect us from all spirit of rivalry. 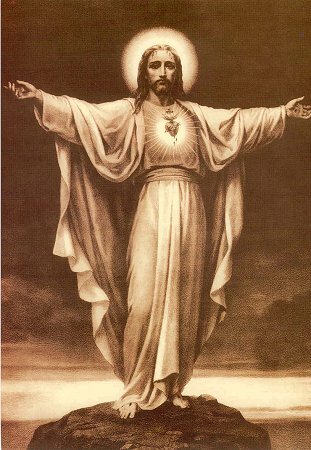 May the Immaculate Heart of Mary Sophia warm with its suffering understanding all spiritual schools and traditions calling themselves Christian; may it warm them with the spirit of conversation; may it connect them to the transcendent Centre, who is the way, the truth and the life. Order my Book in the U.S. 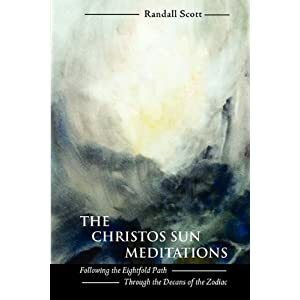 Leading us through the 36 subdivisions of the signs of the zodiac called decans, Randall Scott opens a new door to the stars and discovers a treasure-house of spiritual wisdom. Based on Buddha's Noble Eightfold Path and the seven divine I AM sayings from the Gospel of John, these meditations are a soul's pathway to the sacred truths of the human heart. As we accompany him on this journey, Greek mythology becomes for each of us an open adventure of individuation, and the words of the Bible become ever deepening insight into what it means to commit oneself to a goal surpassing the temporal. Is it really possible to attune ourselves through the stars to spiritual realities within? Yes, it is possible, affirms the author of this remarkable book. As seekers of the spirit, each of us may enter the soul-scape of light and shadow, so that we may one day become pilgrims of the cosmos. This is a wonderful book.